"He was approx. 25 years old, and a Private in the 57th Regiment (later Middlesex Regiment (Duke of Cambridge's Own)), British Army, during the Crimean War when the following deed took place for which he was awarded the VC. 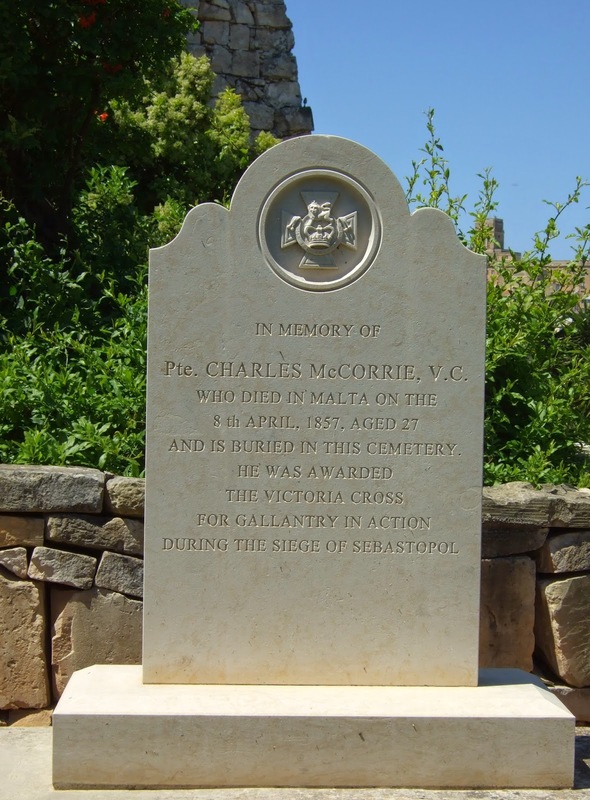 On 23 June 1855 at Sebastopol, in the Crimea, Private McCorrie threw over the parapet a live shell which had been thrown from the enemy's battery. He died in Malta on 8 April 1857"